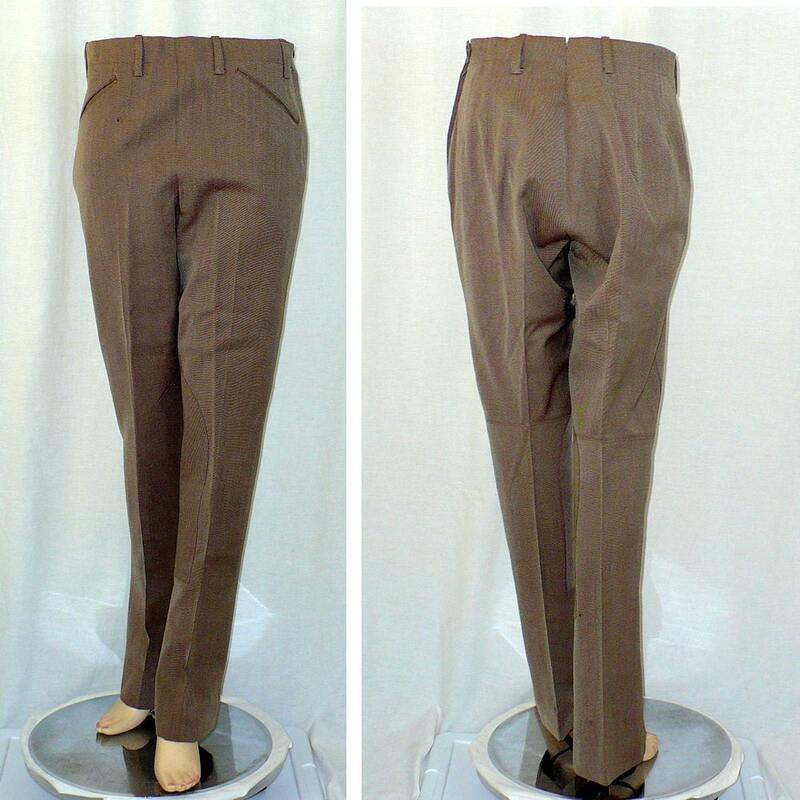 Vintage 1950's women's riding pants feature: Gorgeous worsted wool. 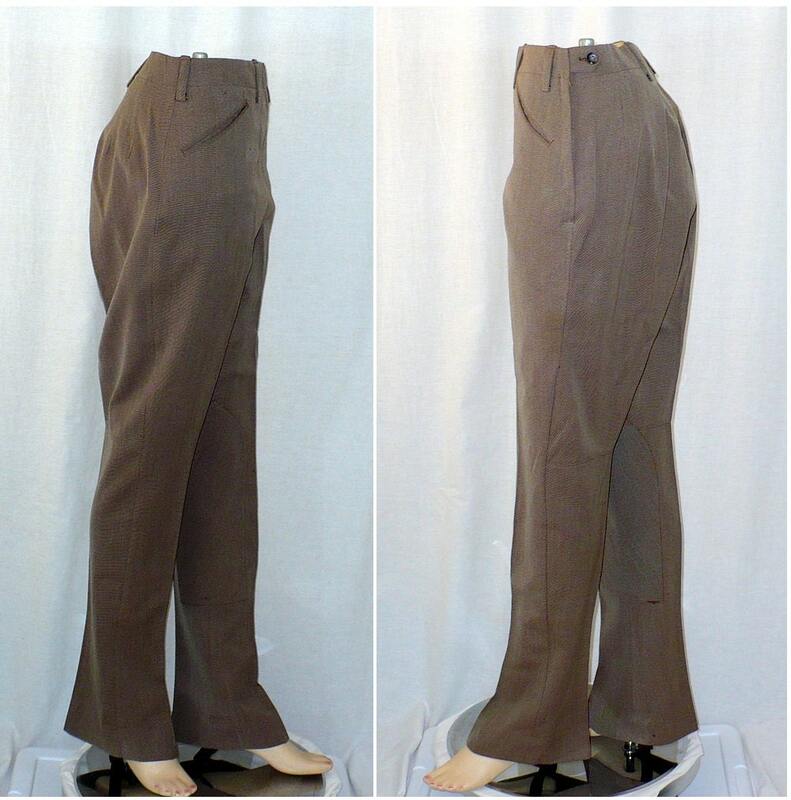 Two front inset slit pockets. Belt loops. 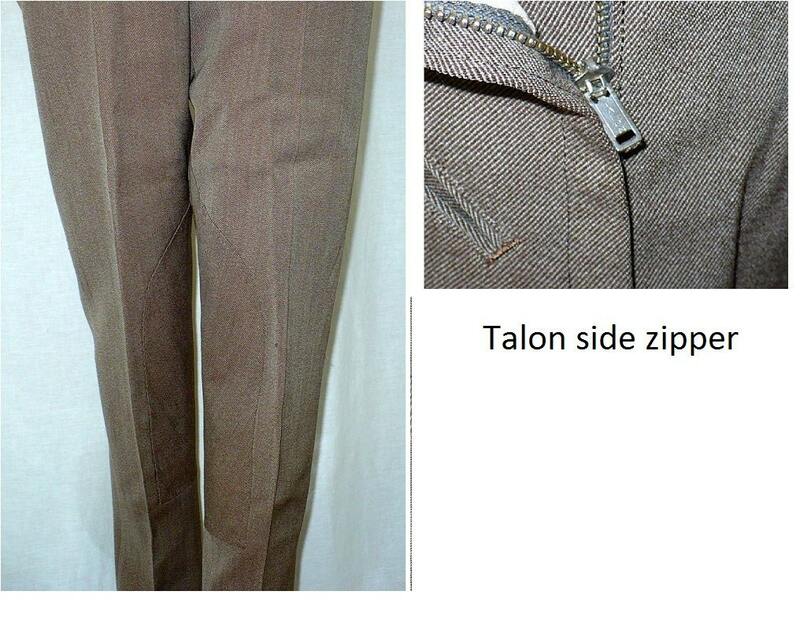 Left side talon metal side zipper fly with button tab closure at waistband. Bar tacked at strain points. 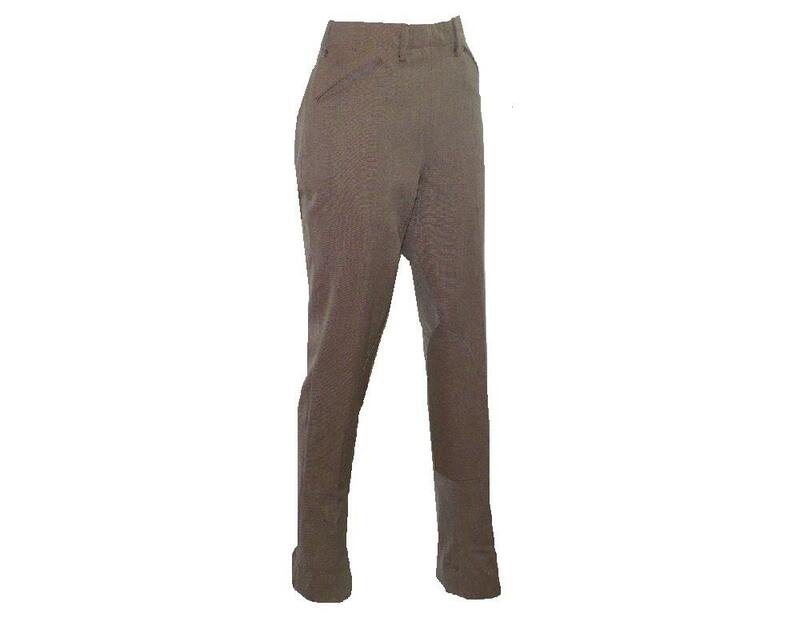 Continuous waist with sartorial split waistband. Brown and white. 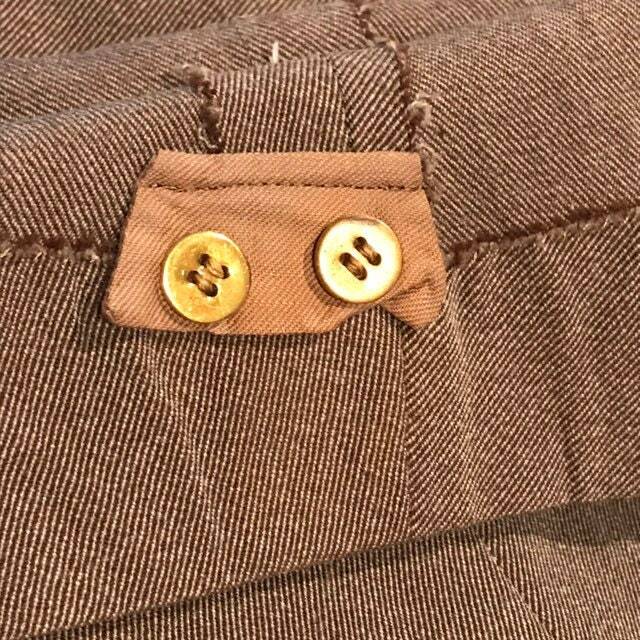 Stirrup buttons on inside hem. 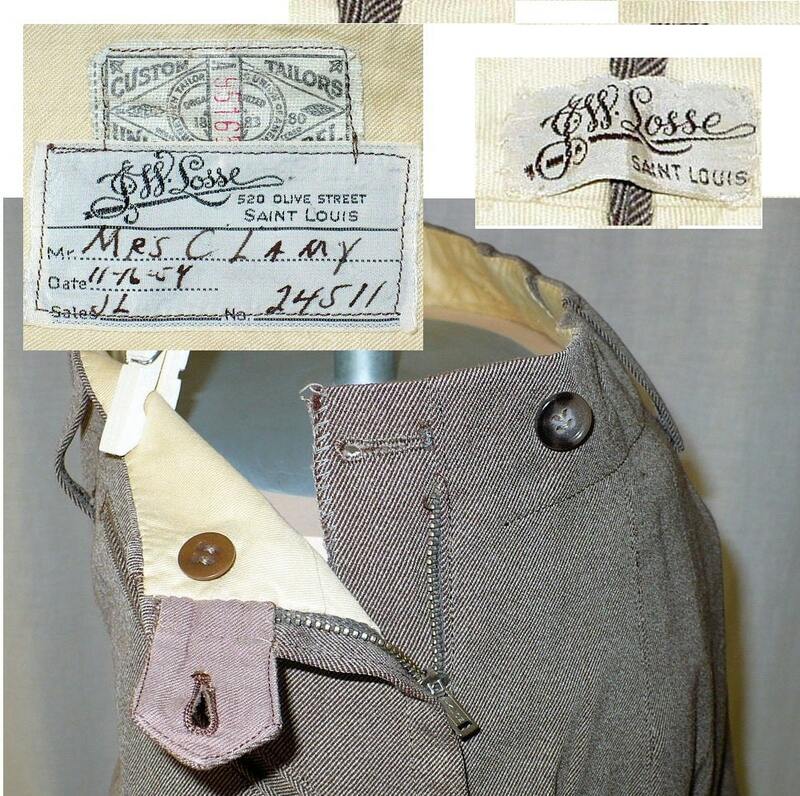 Front Rise to top of waist: 12"
Rear Rise to top of waist: 17"
Hem of opening at bottom of leg: 12"
Mrs . C. Oscar Lamy was a St. Louis socialite who was named in the Who's Who Women of Achievement - University's Top 100. Custom Taylor's Union Label United Garment Workers of America tag located on inner pocket; has the manufacturer number at the center of the label that was first introduced in the 1930's, but often used decades later until the tailor's supply ran out. Authentic vintage condition report: A 2 mm darn at right hip.